Studies show that 70% of people over 65 will need some form of senior care and it's one of the most complex challenges an individual and family will confront. As many professionals know, consumers do not plan for long-term care nor do they save for it. When family members become involved in senior care, they get so wrapped up in the day-to-day activities of the other person, the caregiver has difficulty keeping up with one's routines and needs. Families are busy working at jobs, saving for retirement, and raising children; they often believe their modest income would never afford extra care. They get stuck in the challenges and forget to seek free or low-cost care options in the community. What's one not-so-well-known source of financial help for seniors that could assist them in paying for senior care? Mara Botonis with WhenCaringTakesCourage.com - Veterans Aid and Attendance is a benefit paid by Veterans Affairs (VA) to eligible veterans, veteran's spouses or surviving spouses who need financial help for in-home care, assisted living facility or a nursing home care. For more information contact Veteran's Affairs: 1-800-827-1000 or apply online at https://www.ebenefits.va.gov/ or visit VeteranAid.org. Stephan Forman, LTC Associates - Tragically, about 40% of seniors will lapse or surrender their life insurance policies, unaware that a third option exists only about a dozen states require that you be informed. A life settlement is the sale of a policy for less than its face amount but more than its cash value. If you no longer need or cannot afford your plan, this is worth a look. Just do your homework. Ginalisa Monterroso - theMedicaidexperts.com - Some retired seniors have private health insurance from their previous job. The policies have coverage for home health care and residential rehabilitation. Our older adults should call their insurance company and ask if they are coverage for "Convalescent care." It covers short-term care in an inpatient rehabilitation facility. 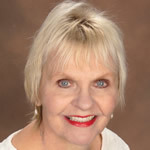 Rhonda Caudell, EndlessLegacy.com - PayingforSeniorCare.com is created & maintained by the American Elder Care Research Organization. The mission is to assist individuals in implementing long-term senior care. The website is designed to help families, and caregivers locate information about long-term care resources for their loved ones, and to find the public and private programs available to assist in covering the cost of such care. Donna Schempp, Care Manager at Eldercare Specialists - For those who qualify for Medicaid, look for the Medicaid Home and Community-based programs. Use of volunteers from faith communities can offset the cost of hired help in some circumstances. Alex Chamberlain, EasyLivingFL.com - Consumers should use geriatric care managers. In reality, they can access comprehensive resources and help you navigate all kinds of benefits programs, leading to a substantial long-term cost savings and time. Carol Marak, Aging Advocate, Editor at Seniorcare.com, and Columnist.